C&D Auction Marts Limited had forward 27 cattle, 5,601 prime hoggs and 3,876 cast ewes & rams at their weekly sale at Longtown on Thursday 11th January 2018. A total of 27 cast cows and prime cattle, with again mainly feeding cows on offer, trade was good and many more could have been sold. The sale topped at 140p for a Limousin cow sold by J.P. Lee, Morley Hills and a top price per head of £1022. 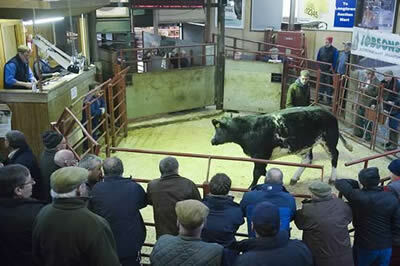 Stock bulls sold to 130p or £1417 also from Morley Hill. Black and white cows sold to £855 from E.A. Dodd, Roanstree. Best quality clean cattle sold well and were short of requirements topping at 235p for a Limousin heifer sold by J. & J. & D. Taylor, Englishtown. Limousin 140p, 136p, 135p Morley Lee. Continental 126p, 121p Morley Hill. Simmental 126p Whitfield, 118p High Dovecote. Continental £900.90, £772.90 Morley Hill. Simmental £976.50 Morley Hill, £772.90 High Dovecote. Limousin £1022, £958.80, £945 Morley Hill. Limousin 235p, 218p, 208p, 204p Englishtown. Another large entry of 5,601 prime hoggs were forward to the usual ring of buyers, with all classes of hoggs again keenly sought after although slightly less than last week. Best quality hoggs in extreme demand and well short of growing buyer requirements, selling regularly between £100-£120. Heavy hoggs still dear per head, with lightweight hoggs remain similar especially for white faced hoggs. The sale topped at 289p for wonderful Beltex hoggs from A. & A. Little, Hollands, Penton, with top price per head peaking at £120 from the same home followed closely at £118 for a pen of outstanding Beltex lambs from D.S & R.C. Taylor, Easter Ochtermuthill, Perthshire. Overall sale average 188.5p (SQQ 190.4p). Beltex 289p Hollands, 287p Oakwood, 279p Hollands, 278p Easter Ochtermuthill, 269p Hollands & Killocraw, 268p Easter Ochtermuthill, 263p Uppercleugh & Waterside, 260p Oakwood & Crawthat, 259p Thornthwaite Close & Oakwood, 258p Hollands, 254p Drummuie, 251p Killocraw, 250p Oakwood, 244p Lurgan, 242p Sorbie & Killocraw. Texel 257p Leanach, 254p Maidencots, 245p Easter Ochtermuthill, 244p Corbelly Hill, 243p High Greenhill, 241p Thornthwaite Close, 234p Cadgillhead & Haregills, 232p Millriggs & Leanach, 231p Chapel House & Uppercleugh, 230p Hollands, 228p The Ash & Creca Hall, 227p Millriggs & Kirk House, 226p Millriggs & Easter Ochtermuthill, 224p High Mossthorn. Charollais 216p Killocraw, 208p Leanach, 200p Tinnishall, 195 Knowe & Tinnishall, 192p Auchengray. Suffolk 198p Millriggs & High Cattadale, 195p Dalbhraddan, 193p Wysebyhill Cottage & Ashley Park & High Cattadale, 192p Killocraw & Sceugh Dyke, 191p Ashley Park & Sowerby Wood, 190p Cowburnrigg, 189p Ormiston, 188p Bolton Wood House & Falnash & Sceugh Dyke. Cheviot 196p & 193p Maidencots, 193p Rhinamain, 192p Beauly, 191p Cara View, 190p Catslackburn & Hermitage. North Country Cheviot 195p & 183p Longburgh Fauld, 181p Sceugh Dyke & Ballywilline & Cara View. Blackface 192p Sorbie, 191p Chapel, 190p West Scales, 187p Catslackburn, 186p West Scales & Sweethope, 184p Silloans, 183p Raeburnhead & Chapel. Cheviot Mule 191p Longburgh Fauld, 190p Sundhope, 186p Ifferdale, 182p Falnash, 181p Longburgh Fauld. Cross 190p Sweethope, 188p Dalbhraddan, 187p Maidencots, 186p Maidencots & Tecket, 185p Nether Albie, 184p Nether Albie & Raeburnhead. Beltex £120 Hollands, £118, £114 Easter Ochtermuthill, £111, £110 Hollands, £109 Oakwood & Crawthat, £108 Uppercleugh, £105 Hollands & Killocraw & Oakwood, £104 Drummuie, £102 Uppercleugh. Texel £111 Thorthwaite Close, £110 Kirkton, £109 Kirkton, £108 Leanach & Falla, £107 Kirkton & Kirk House. 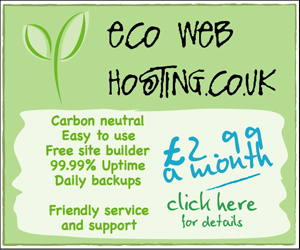 £106 Kirkton, £105 Kirkton & Orchardton Mains & Corbelly Hill, £104 Uppercleugh. Suffolk £100 Sykehead, £99.50 Sceughdyke, £98 Woodhall, £97.50 Guardsmill, £95 Cowburnrigg, £94.50 Guardsmill, £94 Hillview & Sceughdyke, £93 Newbiggin & Roanstree, £92 Swaites, £90 Haregills & Park House. Charollais £98 Justicetown, £92 Auchengray. North Country Cheviot £87 Clatequoy, £85 Sceugh Dyke, £84 Longburgh Fauld, £78 Clatequoy, £77 Hownam Grange, £75 & £74 Orchardton Mains. Blackface £85 Killocraw, £81 Uppercleugh, £78 Sweethope & Milnmark, £75 Arnicle & Craig Douglas & Marygate, £74.50 Chapel, £74 West Scales, £73.50 Silloans, £73 Catslackburn & Sorbie & Hole, £72 Marygate. Cheviot Mule £85 & £82 Longburgh Fauld, £80 Kirkbride & Falnash. Cheviot £83 Rhinamain, £77.50 North House, £76.50 Plumpe, £75 High Crubasdale, £74 Hermitage & Catslackburn. Cross £81.50 Sweethope, £80.50 Kirk House & Maidencots, £80 High Parkfoot & Tecket & Sowerby Wood, £78 Sykehead, £77 Greengatehouse & Hole & Nunscleugh, £76 Nether Albie, £75 Romesbeoch & Dalbhraddan. A similar show of 3,876 cast ewes and rams were forward to the usual ring of buyers, with heavy ewes £5 easier on the week although best Texel types remained very dear. Blackface export type ewes saw a rise of £4-5 on the week, although a much larger show of plain ewes saw trade easier. 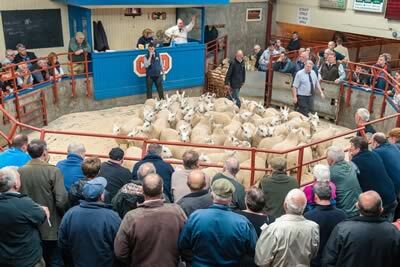 Sale topped at £158 for wonderful Texel ewes from Douganhill Farm, Orchardton Mains. Hill ewes to £66 for a pen Lleyn ewes from R. Harrison & Sons, Peddar Hill, Longtown. Rams sold to £140 for Texels from A.R. Bell & Son, Kirkton, Hawick. Texel £158 Orchardton Mains, £150 Kilnford Croft, £149 Catslackburn & Huntington, £148 Orchardton Mains, £147 The Hagg, £146 Crookholm, £145 Beckfoot, £142 Huntington, £141 The Hagg & Upperlands, £138 Huntington & Raggetsyke, £136 Tercrosset, £134 Birdsnest. Beltex £132 Kilnford Croft, £130 Beckfoot. Charollais £128 Chaseside, £120 Upperlands, £109 Chaseside. Suffolk £123 Catslackburn, £122, £115 Huntington, £114 Chaseside, £112 Huntington, £110 Beckfoot & Rue Castle, £109 Thirlestane, £107 Huntington. Blue Faced Leicester £100 Swinside Townfoot. Cheviot Mule £95 Philiphaugh, £90 Bardnaclaven. North Country Cheviot £95 Hownam Grange, £94 Carruthers, £88 Philiphaugh. Cross £74, £70 Hoddomtown, £68 Bolton Wood Lane & West End. Blackface £58 Whiteside, £54 Whitehill, £52 The Hagg, £50 Brydekirk Mains, £49 Walton Park, £48 Brydekirk Mains, £47 Kirkhope, £46 Eriff, £45 Lossit, £44 Lanehead & Pole. Cheviot £50 Porteath & Allfornaught & Kingside, £48 Eriff, £45 Sangomore, £43 West Hall & Auchentaggart & Baligill & Low Chesterhope, £42 Drumreach. Texel £140 Kirkton, £128 Chapel House, £120 Hownam Grange, £118 Auchentaggart, £114 Ronachan, £112 Chapel House, £110 Nettling Flatt, £108 Wester Ulston & Beckfoot & Huntington, £107 Chaseside, £100 Tercrosset & Beckfoot. Blue Faced Leicester £118 Auchentaggart. North Country Cheviot £106 Hownam Grange. Charollais £99 Falla, £95 Stockholm. Cheviot £70 Kingside & Hownam Grange, £68 Upper Hindhope.